CHINESE President Xi Jinping says he will take back home lifetime memories of the warm welcome he received from the people during his historical two-day State visit. He will especially mention how the children at a school welcomed him by singing in Mandarin Chinese. 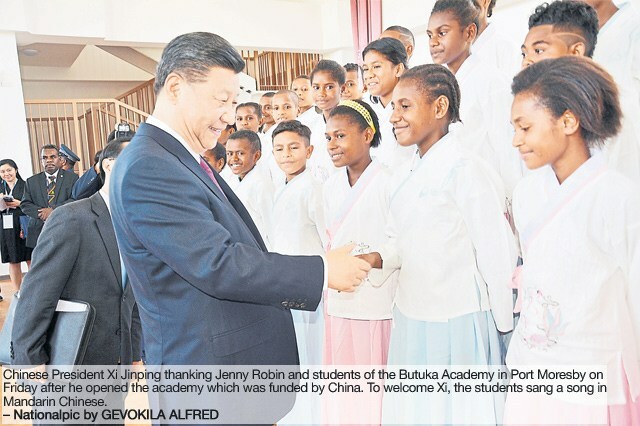 President Xi arrived on Thursday evening and spent Friday visiting projects funded by his government in Port Moresby, including the opening of the Independence Boulevard and the Butuka Academy. 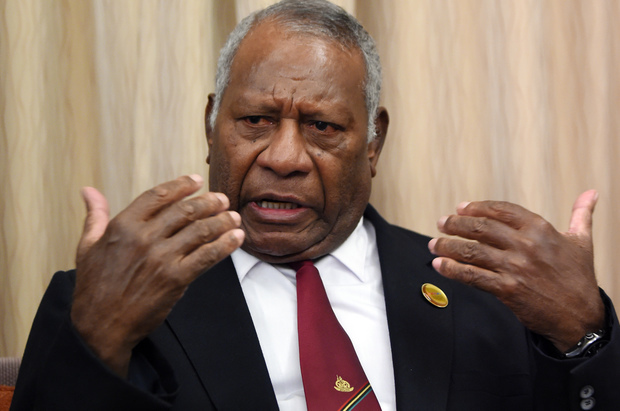 The K40 million six-lane Independence Boulevard was funded and built by the Chinese government as a gift to PNG. At Butuka, he was caught by surprise when students welcomed him by singing in Mandarin Chinese. 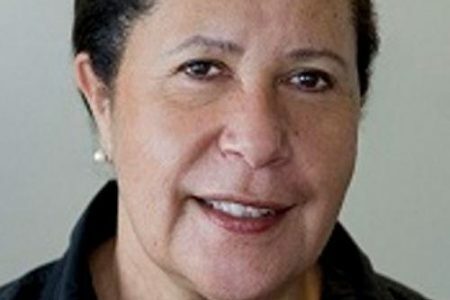 The academy was funded and built by the Chinese government as a gift to PNG under the sister city relationship between Shenzhen and Port Moresby at a cost of K70 million. It has elementary, primary and secondary schools all in one premises. Xi said the warm welcome and gesture from the children and citizens were “memories of a lifetime” he would take back to China. He saw the “small and tidy classrooms”, the eco-friendly facility with a brand new sporting ground. 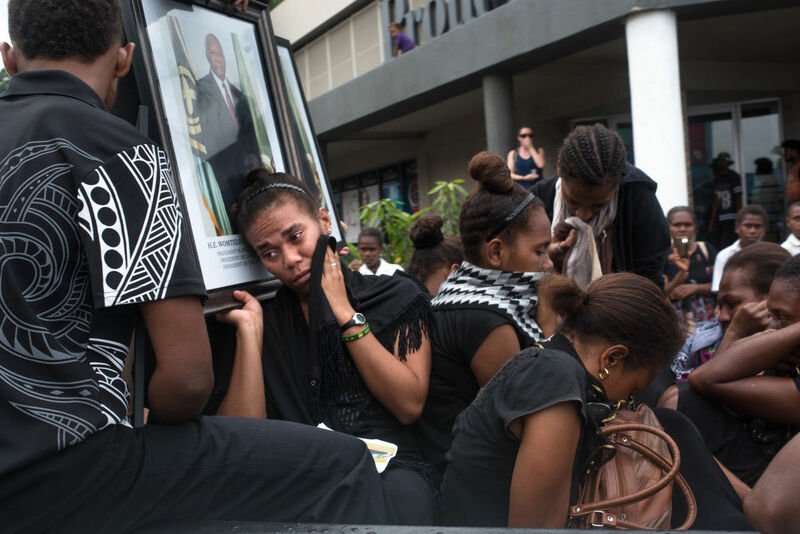 He watched “adorable PNG children who are currently on a journey to learn”, who made a “deep impression”. “I will take back home some lifetime memories of today’s event,” he said. Xi said talented people were the primary and precious resources of a country and China was pleased to support and promote education in PNG. 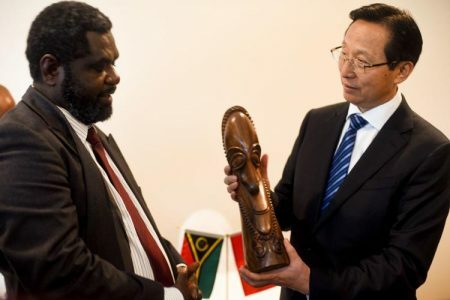 “As I always say in China, talented people are primary and precious resources for a country and the building of Butuka Academy here is to promote such cooperation in education so that it will help PNG to produce more talented people,” he said. 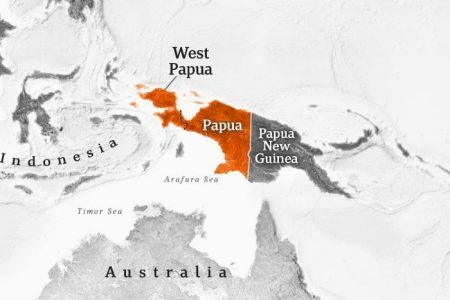 Xi said there were more than 1300 PNG people studying in China on scholarships provided by the Chinese government through its strong friendship with PNG. He said the Shenzhen province of China had also established a sister-province relationship with Eastern Highlands. 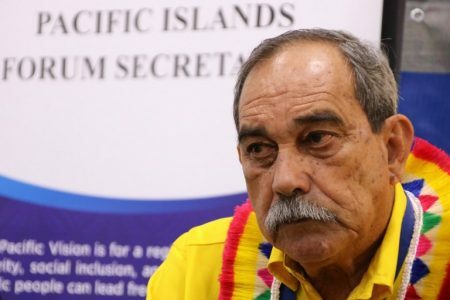 Prime Minister Peter O’Neill thanked President Xi and said the construction of Butuka Academy was another indication of the strong relationship between the two countries.